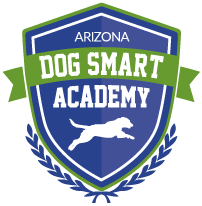 If you are looking to take Dog Obedience Classes with your dog, here is where you begin. Most dogs (older than 1 year) should start with the Obedience Level 1 Class and progress from that point at the advice of your trainer. 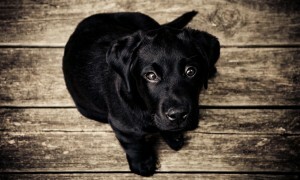 If your dog is under 6 months, please visit our puppy training classes page and start there. Basic obedience skills are pre-requisites for most of the activity or sport classes. 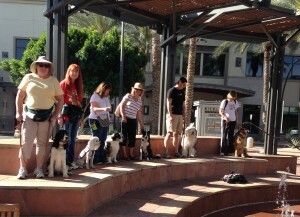 An private evaluation session or 6-weeks of basic obedience here at Arizona Dog Sports. Open to any dog with basic obedience skills and calm, friendly temperament with a desire or need to perform tasks for the owner. Classes are offered all week at varying days and times. Please check our Class Calendar here for specific class days and times or call us for more class details. Stop or prevent counter surfing. Teach not to jump on guests, etc. . . Helping with laundry, etc. . . . 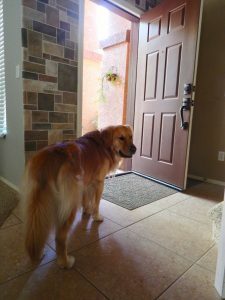 Feeling overwhelmed with your dog? Don’t give up! We can help, and our trainer will come to you, working in your home, at your pace. This package includes: 4 in-home, one-hour private lessons with the trainer plus 4 one-hour small group classes at our Paradise Valley indoor facility. (Feisty Fido packages require a minimum of 60 days or 8 private, 1-hour lessons before testing to qualify for any classes.) Also includes a training kit with treats, a treat bag OR place mat, and tote bag. Do you walk your dog or does your dog walk you? Does your dog always pull on walks? Is your leash always tight? Learn to walk your dog with a loose leash in the real world. 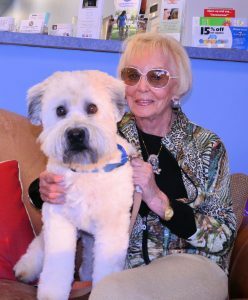 You and your dog will be much happier! 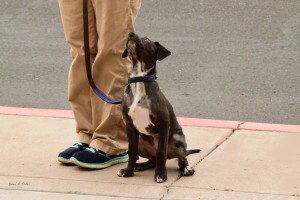 This class is for dogs 6 months and older needing basic obedience skills- heeling on a loose leash, sits, downs, stays, coming on recall and manners. 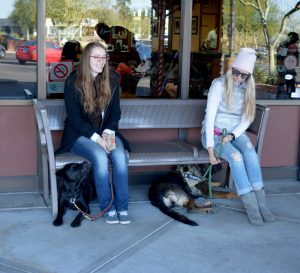 Learn basic obedience training skills in a fun, positive environment. This class is for puppies who have graduated puppy obedience 1 or for newly adopted dogs that are attending their first obedience class. Needed for classes: flat collar or training collar/martingale, treats or your dog’s favorite toy. Collar needs will be assessed for each dog at the first class. The next step in obedience training. These classes are for Level 1 obedience graduates, those looking to pass the CGC test or CGC graduates. Exercises will emphasize doing all commands with increasing distractions and interaction with dogs and people. Off leash skills will be the goal of these classes and excellent reliable behavior indoors and outdoors, and in new environments. Many aspects of these classes will be customized to the participants breed and style. Retrieving or other practical skills may be introduced when appropriate. Must complete Obedience I or be at equivalent level. Urban CGC is a 6 session class that incorporates the requirements of CGC but is taught outdoors, in crowds, buildings, stairs and elevators. The 6th session being the actual test. 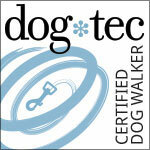 All dogs must have CGC or CGCA certificate. Watch as class participants show you what they’ve learned in this great Beyond Obedience class! Great job Puddy, Lola, Sasha, Bailey & Bentley!! Beyond Basic obedience focuses exercises to improve and maintain the dogs responsiveness and reliability to the handler around other dogs and distracting situations. New games and challenges enhance recall and introduce practical retrieves, basic flatwork for agility, entertaining and useful tricks, and scent work. Beyond Basic obedience is an active class taught from the cognitive perspective. Prerequisite: Basic Pet Obedience….and athletic shoes, a party attitude, and cheerleader rah rah! This class is extremely high level of obedience. Dogs will perform off-leash for the entire class. Needed for classes: flat collar or training collar/martingale, treats or your dog’s favorite toy. Collar needs will be assessed for each dog at the first class. Put the skills you have been working on with your dog to practical use. Join us for Sunday morning Walkabouts in various locations throughout the valley. 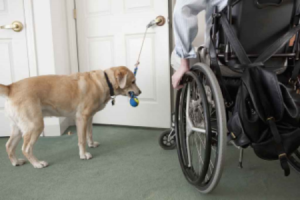 We will be walking our dogs in a group and practicing basic sits and downs along with more advanced commands such as moving downs, stands, and commands with your back turned to your dog. We will be going up and down elevators in shopping areas and walking in parks. Walking in a group challenges your dog to focus on you and adds a new dimension to your training. Advanced obedience dogs only.